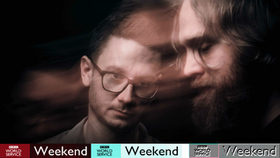 London-based musical duo Solomon Grey comprises musicians Tom Kingston and Joe Wilson, who initially met in Wilson's hometown of Oxford. Bonding through their shared love of music, the duo soon started being creative together, drawing influences from James Murphy and Little Dragon. It wasn't until they made a move to the West Coast of Ireland, without the distractions of the city life in London, that they made music under the Solomon Grey moniker. 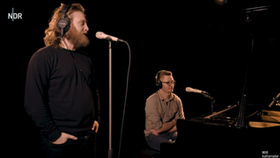 After a while, Kingston decided to move to Australia but was soon to be followed by Wilson; they moved their studio equipment, too, and the pair would spend two years there writing and producing music and honing their sound. 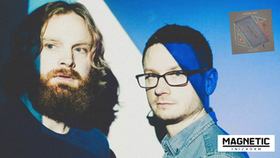 Upon their return to the U.K. in early 2013, the duo teamed up with the Black Butter label to release their debut single "Gen V" to critical acclaim, especially on British national radio station BBC Radio One. Its follow-up "Firefly" followed in late 2013. 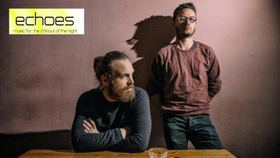 Aside from their main focus on the band, the pair also scored soundtracks for film and television with the The Wild Atlantic Way, a film created for Irish tourism, as well as the BFI feature film Gozo. Third single "Electric Baby" arrived accompanied by an interactive video created in conjunction with Google. 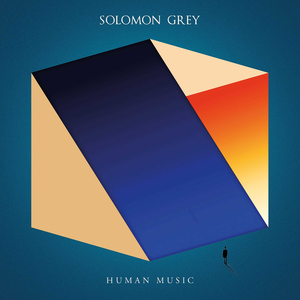 The vocal work of Solomon Grey has been lent to a variety of projects, including U.S. deep house producer Lane 8 for his 2014 single "Diamonds." Human Music is a collection of intricately crafted songs showcasing the band's cinematic-style emotive soundscapes. The album delves into themes of choice, love and loss, and was written by the band at the time singer Joe's mum was diagnosed with a terminal illness. The album was influenced by her passing. Solomon Grey explain, "The album is fundamentally about exploring loss and finding out how integral it is to life. That's where it started for us but it can mean whatever you want it to." It was a wild year for music on Echoes and we've sorted through the hundreds of new music releases to pick the Top 25 albums for 2018. BAFTA winning artist, composer, musician and producer Ólafur Arnalds has unveiled his new track ‘re:member' featuring his ground-breaking new software, Stratus, which transforms the humble piano into a unique new instrument. It is released today Friday April 6 along with a brand new music video. Ólafur will be performing The Stratus Pianos across the world later this year, including a sold-out date at London's Royal Albert Hall and New York City's Le Poisson Rouge on June 30 (full US tour dates below). 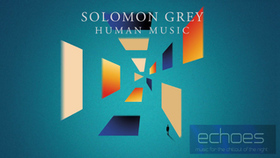 Human Music is a collection of intricately crafted songs showcasing Solomon Grey's cinematic-style emotive soundscapes. The album delves into themes of choice, love and loss, and was written by the band at the time singer Joe's mum was diagnosed with a terminal illness. The album was influenced by her passing. Solomon Grey explain, "The album is fundamentally about exploring loss and finding out how integral it is to life. That's where it started for us but it can mean whatever you want it to." Echoes is a daily two-hour music soundscape, distributed by Public Radio International and broadcast on 120 radio stations from Maine to Hawaii. 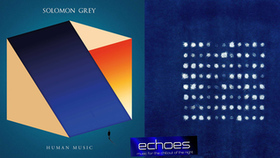 With host John Diliberto, a writer for Billboard, Pulse and other magazines, Echoes brings together a wide array of styles, from acoustic to electronic, jazz to space music, the avant-garde to rock. Echoes is a sound that is cross-cultural and trans-millennial, merging cultures and forms, technology and tradition, the ancient past and the possible future.